Resolution 1701 is a sad object lesson about the immoral malfunction of high-minded international agreements to destroy dangerous weapons stockpiles. The Syrian counterpart may not evolve in identical patterns but its inevitable bottom line will be no different than that of the dismal gag that Resolution 1701 turned out to be. Worst of all, no one seems to dwell on that out-of-mind resolution, no one remembers. The widespread affectation is that everything is peaches and cream, as if the international intervention worked wonders. It’s as if wholesale deception has never been perpetrated. It’s as if no one recognizes that nothing whatsoever went to plan. The pretense is just too sweet and alluring an option to pass up. Truth is too painful, persistent and unpleasant a bother with which to cope. And a footnote – the central protagonist of today’s chemical weapons saga, Bashar Assad, was also centrally complicit in hoodwinking the entire international community in the Resolution 1701 context. That gave him valuable and pertinent experience for extricating himself from the conditions lately imposed on him by Washington and Moscow. The British-trained ophthalmologist is a formidable, steel-nerved past master. On the ordinary summer morning of July 12, 2006, Hezbollah terrorists killed eight Israeli soldiers on a patrol inside Israel. They further kidnapped two corpses and negotiated for ransom as if they held live hostages. That unprovoked aggression triggered the Second Lebanon War, which was to escalate into a month-long conflict during which the Lebanon-based Hezbollah fired over 4,000 rockets at Israeli civilians, caused death and destruction and brought life in the northern half of Israel to a veritable halt. The trauma brought home the reality that in the years that had elapsed since the unilateral midnight retreat ordered by Prime Minister Ehud Barak in May, 2000, Hezbollah had amassed a rocket arsenal that poses a real danger to Israel. It is crucially distinct from an annoying nuisance. The conclusion of 2006’s eminently unsuccessful war (from Israel’s vantage point) was facilitated by UN Security Council Resolution 1701, which appeared to salvage some vestiges of Olmert’s/Livni’s waning prestige. The Resolution was embraced by Israel as well as Lebanon, including the Hezbollah contingent in the Beirut parliament. It all seemed good and the promise encapsulated in the resolution was hawked enthusiastically by Livni as a glowing accomplishment. But now, years later, we can take realistic stock. Did the missile stockpiles disappear from next door? Are we safer? Were the bright promises fulfilled? The sad answer is that not only were the promises not fulfilled, but Hezbollah missile stockpiles actually multiplied hideously, and we are significantly less safe than in 2006 – when we already weren’t safe because of Ehud Barak’s easy-fix and gross misjudgment of 2000. It’s no use to beat around the bush: We were taken for a ride. Hezbollah had brazenly and relentlessly violated the resolution that constituted the very foundation for the cessation of hostilities. Hezbollah’s prime and direct enabler was Damascus despot Assad. It’s no wonder that Hezbollah now ferociously fights alongside his own army in the Syrian internecine strife. Hezbollah is Assad’s greatest and most natural ally. The future of both is inextricably intertwined. And behind both Assad and Hezbollah lurks Iran, which supplied the hardware to Hezbollah and which Assad delivered in direct contravention of impotent Resolution 1701. Not to forget, pulling the strings of the Tehran/Damascus/Hezbollah axis behind the scenes is Moscow, the very architect of the current deal to save Assad from American punishment. Is that southern Lebanese zone as clean as article 8 guaranteed? Did Hezbollah indeed exit that region as Article 8 obliged it to do? In actual fact Hezbollah presence mushroomed. According to a 2009 IDF intelligence report, Hezbollah had managed to construct a whopping one thousand military facilities within the very territory it was supposed to vacate. At the time, these new installations comprised well over 550 subterranean weapons bunkers and 300 other underground facilities. That was over four years ago. In the interim, Hezbollah hadn’t been idle. It kept right on adding new fortifications and reinforcing existing ones. That of course is far from the full extent of the bamboozlement. Hezbollah strike capacity against Israeli civilian concentrations and vital urban centers has grown alarmingly, rather than be diminished – as Livni and the international sponsors of resolution 1701 pledged. Yeah, sure! By very conservative estimates from prior to the Syrian mayhem, Hezbollah, far from disarming, had tripled its arsenal since Resolution 1701 was presented by Livni as a stunning triumph. Neither she nor anyone else mentions it these days. Already before Assad found himself embroiled in civil strife, more than 60,000 Hezbollah rockets and missiles were trained on Israel. There’s no telling by what extent the number has now grown, since the turmoil has made any assessment hypothetical. It is plainly obvious that Assad’s chief accomplice, Hezbollah, enjoys free supplies from the commandant in Damascus and that he indeed has spirited many of his own arsenals – conventional or chemical – beyond the nominal border with Lebanon. This is just how Iraqi dictator Saddam Hussein had hidden some of his own stashes with Assad in Syria in advance of the American invasion of 2003. It’s a well-practiced Mideastern subterfuge, which the West refuses to acknowledge. Hence, conventional wisdom today is that Saddam was falsely accused of having hoarded poison gas and was wrongfully attacked. With mind-blowing gall and utter impunity, Hezbollah and its Syrian enablers are actually not merely violating Resolution 1701 but also two other previous worthless undertakings – Resolution 1559 (which called on all Lebanese and non-Lebanese militias to disband) and Resolution 1680 (that reiterated the demand to respect Lebanese sovereignty). The Taif Accord of 1989, negotiated in Saudi Arabia to end the Lebanese civil war and remove Syria from the Arena, was never more than a transparent sham. The West cannot even claim lack of awareness. Oozing impudence, Hezbollah, hardly bothers to as much as maintain a low profile. It exultantly crows about its violations. Less than a year ago, its chieftain Hassan Nasrallah boasted on Al-Manar TV: “If Israel was shocked by the number of Fajr-5 rockets which hit Tel Aviv, how will it be able to bear the thousands of rockets which will rain on Tel Aviv and other places if it invades Lebanon? Did Assad submissively toe the line? Did his Iranian allies meekly acquiesce with the international community’s instructions? Heck no! What they did was to arm Hezbollah to the teeth right under the UN peacekeepers’ unwatchful eye. Syria and Iran had transported gargantuan stockpiles to Hezbollah. Before the present Syrian upheaval, the IDF knew that Hezbollah possessed Iranian-manufactured Fajr-3 and Fajr-5 rockets with a range of between 43 and 75 kilometers, Iranian-manufactured Fatah 110 rockets with a range of 250 kilometers and Syrian-manufactured 302mm rockets with a range of between 110 and 115 kilometers. Given Israel’s diminutive size these ranges are horrific. In 2010, Former US Secretary of Defense Robert Gates noted that Hezbollah “has more missiles than most governments in the world.” So what? Did anyone care? Was any outcry audible from the pompous pontificators who serially preach to Israel? 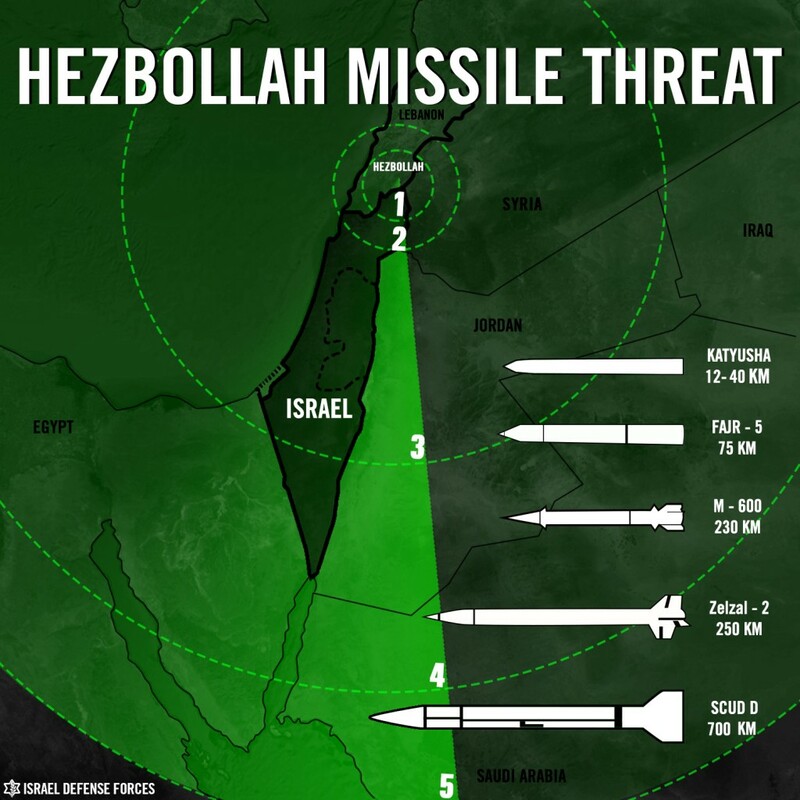 Hezbollah’s frightening missile hoards came in unhindered through Syria. Now that anarchy reigns in Syria and that Hezbollah has become a key player in its battlefields, the situation is doubtless unimaginably and immeasurably worse. This is what International good intentions are worth on the treacherous ground in the Arab realm. Too bad no one mentions defiled Resolution 1701 in conjunction with the cushy deal to clean Syria of chemical warheads. Can we place even minimal faith in international negotiators in the light of what happened to Resolution 1701? Can we truly trust Americans who mouth platitudes aplenty but studiously ignore precedents (that should engender wariness rather than promote optimism)? Can we trust any deal promoted by the Russians who dynamically and deliberately helped smash Resolution 1701 to smithereens? Resolution 1701 offers a sobering reflection of what will become of the deal to disarm Assad of his WMDs. The broken shards of the 1701 mirror further forewarn us about how Obama’s America will thwart Iran’s nuclear designs. No propitious prospects ahead. And yet again no one will listen to the ominous warnings that the lessons of history keep repeating. The perceived short term gains by employing short term delays for strategic and selfish tactical reasons will be reversed and magnified in resultant sorrow and war. The avoidable and containable errors and the realisation of avoidable destruction will occur after the event, when Jewish blood will have been spilt. Other than to us – it is a cheap expendable commodity to the outside world, to be ignored or used at will. We are on our own in the final analysis. Furthermore I do occasionally wonder whether Livni and her crew of like minded lefty appeasers work for Israel or some outside interests. Sarah, if Israel’s leaders are so weak and wicked as to go along with Destroyer Obama’s nefarious plans to for all intents and purposes remove America (and by proxy Israel) from the world scene, what hope is there for avoiding another wholesale worldwide slaughter (new holocaust) of the Jewish people? Of course Israel will have to deal with Iran on it’s own…it MUST carry out a preemptive attack….THEN and ONLY THEN, the US will probably join in ! BUT THAT SIMPLE TRUTH MUST BE WELL KNOWN BY ALL OF ISRAELS DECISION MAKERS. What with Putin as peacemaker and his slaphappy sidekick, his dutiful little Tonto Obama, at his beck and call, America is in deeper trouble than ever before, meek and cowed, with ever more humiliations still to come, for all the world to see. Israel now must avoid becoming the scapegoat for Obama’s degradations. He’s been out to get Israel all along, but, vengeful little creep that he is, you know he’ll be going all out to that end from here on in. Millions of Evangelical Christians in the US have Israel’s back. Sarah, again, you have exposed the ‘sad facts of the recent past regarding the ‘evil tricksters’, and their false tactics of cheating across the board! Gathering all the ‘knowledge of recent and past Axis scams ‘ against the ‘blindsided so called Negotiators of middle east peace proposals’ one can conclude, as I have proposed ad nauseam that for Israel to ‘Regain its Self Respect and the political Respect from other countries, iSRAEL LEADERSHIPS MUST LEAVE ITS ‘MISTY IMAGE’ AND CLARIFY ITS CURRENT AND FUTURE INTENTIONS! One disturbing and overlooked aspect of Hezbollah’s rapidly increasing missile arsenal, is that they have a shoulder-fired missile, which can destroy the Merkava battle tank. That happened a number of times in the 2006 Lebanon war. If Livni had any honor, she would have resigned a long time ago, and found a less high-profile, more benign occupation.